Clouds Over Columbus: Pentax K-5, Pentax DA* 16-50mm f/2.8. A view of downtown Columbus from Confluence Park. It’s my last day in Columbus. Although the visit was nice, I’m itchin’ to get back home to Seattle. My flight leaves bright and early tomorrow morning, and I should be enjoying the cooler climate of the Pacific Northwest by noon. 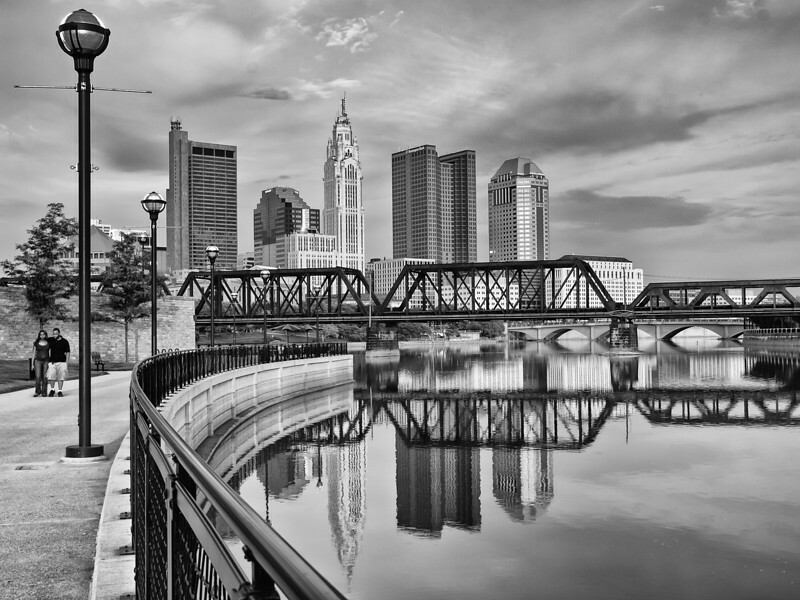 During the weekends and evenings I got a chance to explore the area around Columbus. Here are a few images I hope you enjoy. Out to Pasture: Pentax K-5, Sigma 8-16mm f/4.5-5.6 DC. 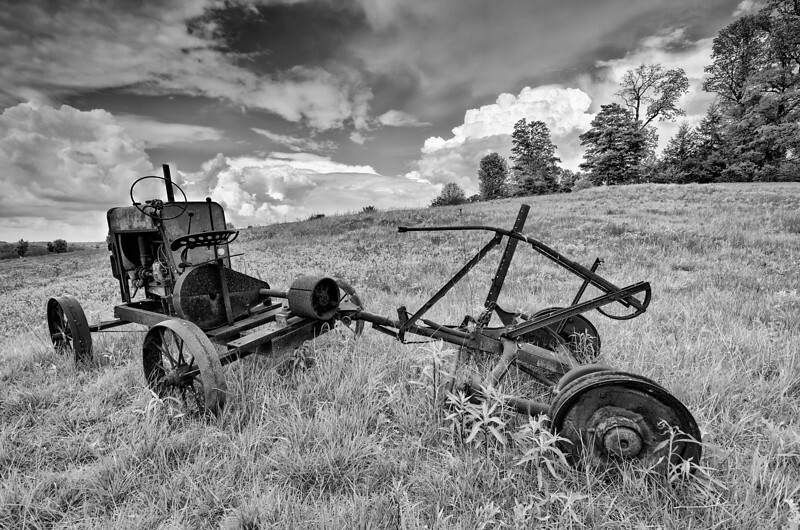 Abandoned farm equipment at Dawes Arboretum. The Rock House: Pentax K-5. Sigma 8-16mm f/4.5-5.6 DC. 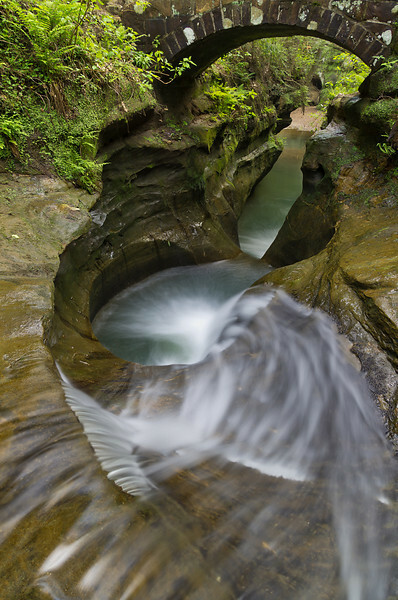 A cave-like structure made by wind and water in Hocking Hills State Park. The Birth Canal: Pentax K-5. Pentax DA* 16-50mm f/2.8. Cantwell Cliffs in Hocking Hills State Park. The Statesman: Pentax K-5. Pentax DA* 16-50mm f/2.8: William McKinley's statue looms large infront of the Statehouse in Columbus, Ohio. I’m so glad you got out of the city so you could send us great shots from H H State Pk. Very nice series of photos. The skyline picture is top notch. Well done! I visit Columbus on occasion for work. I’ve been to Dawes but I never went to Hocking Hills SP. It looks like an interesting place. I’ll have to check it out. I really love “out to pasture” followed by the swirling water hole! Beautiful!!! !